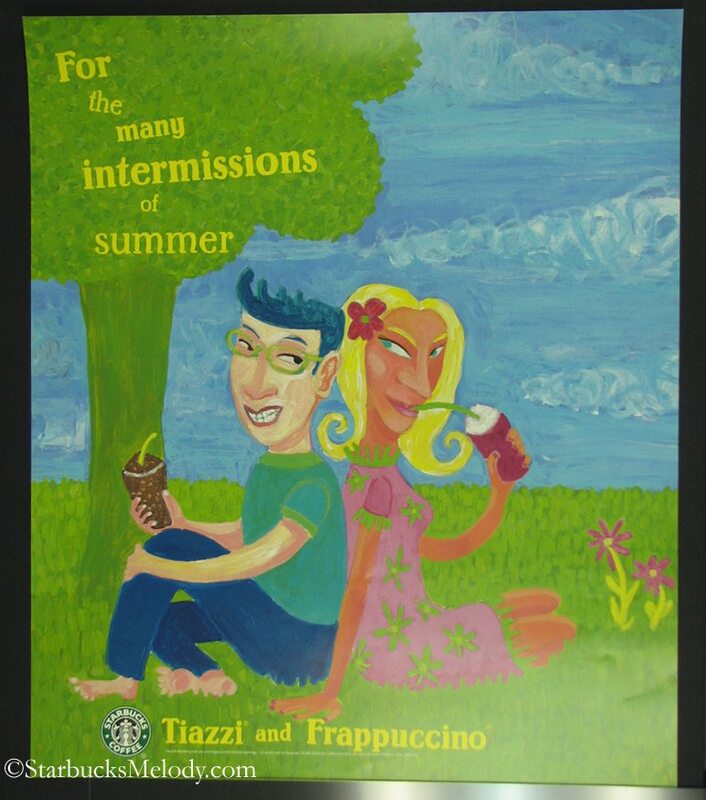 As I have said many times on this site, old Starbucks posters are great Starbucks history lessons, and I like being able to feature them here. Hope you enjoyed this look back at Starbucks marketing of yesteryear too. What happened to the posters of yesteryear? They tell such a story! To me the man’s straw is sort of yellow? I like the colors. I really remember those days of Sbux! compared to then, I almost feel they’re (Sbux) just kind of ‘giving up’ on those little ‘connections’….the 3rd place etc. @Denise and @Purple1 – I definitely think that when Starbucks was smaller, they felt like they had more of a license to be daring, bold, and creative. Now, marketing is spread across 12,000 stores. Larger potential to offend! I honestly think that’s the trend of most businesses as they get really big – They work harder to have non-offensive marketing … that usually means it’s a little more dull. The old posters in the “history lessons” of this blog are really different than now. And I don’t think current Starbucks marketers have read “Tribal Knowledge” by John Moore. That is all about Starbucks and how it markets, and what it values in the messages it sends. But’s it’s an older book, and I am not so sure that the ideals represented in it represent current Starbucks marketing.